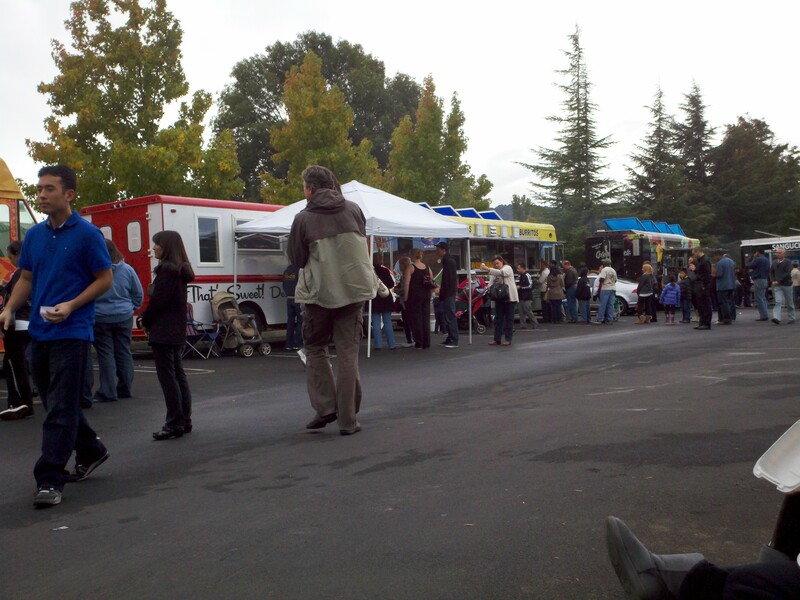 Anthony, Brian, and I went to a food truck mafia event today at the mall parking lot. A food truck mafia (I learned today from Brian) is a group of food trucks in one location. 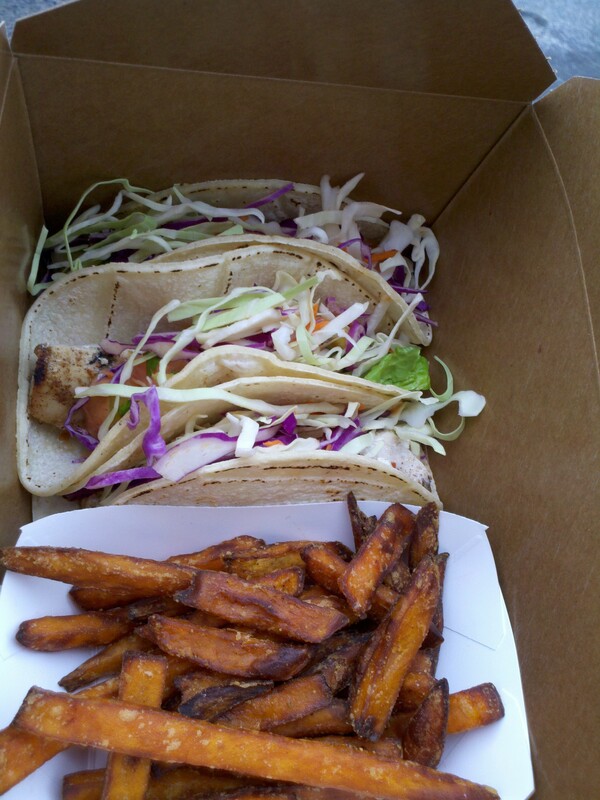 I had fish tacos from Cabana Dave’s Food Truck (Twitter) and a maple bacon cupcake for dessert from That’s Sweet! 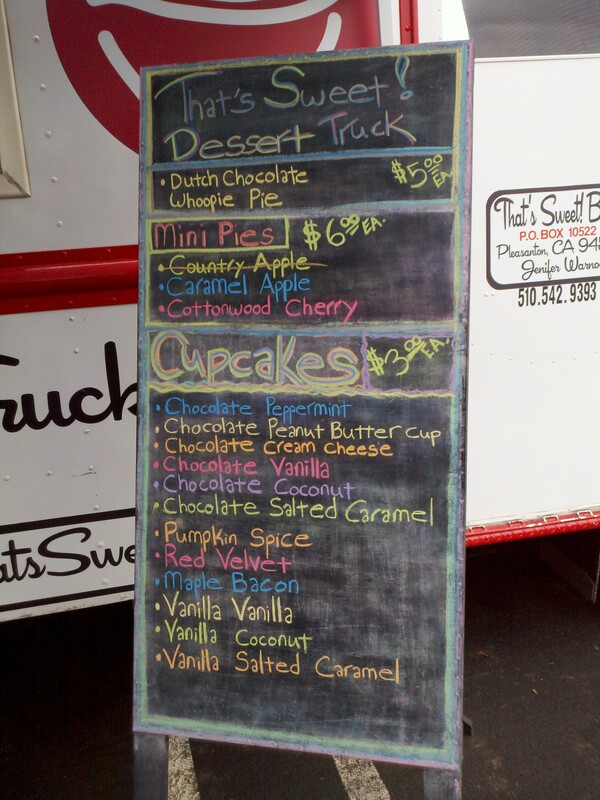 Dessert Truck (Twitter) . I felt horrible about myself after eating the cupcake for about 5 minutes. 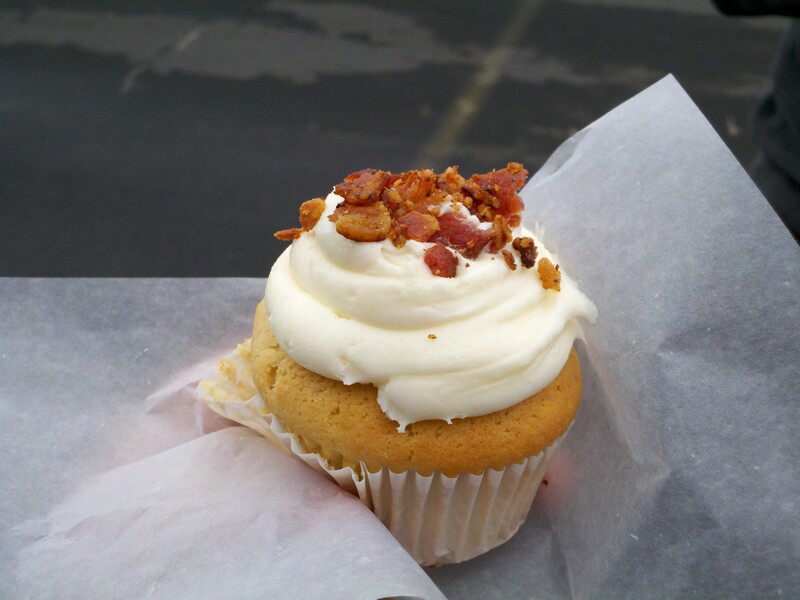 Life is short and man was that cupcake good! Time to exercise so I can get another cupcake some day!